The NES Reliable Folding Bar Chair is a bar-height folding chair, designed with the rental industry in mind. 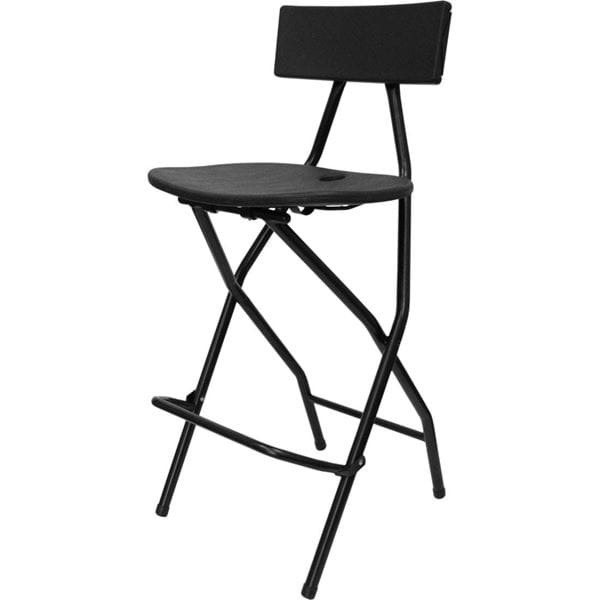 Featuring steel-leg construction with a high-density plastic seat and back, this chair can be set-up or taken-down in a flash. Storage is easy too as these chairs can be folded down and stacked away when no longer needed. 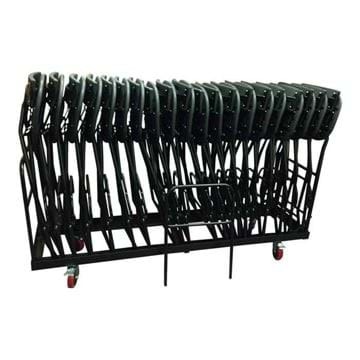 The functionality of these bar height folding chairs extends to maintenance of the chairs. The seat and back of the chair are impervious to staining and are easily cleaned. Currently available in black, the NES Reliable Folding Bar Chairs are water-resistant and won't discolour in the sun. 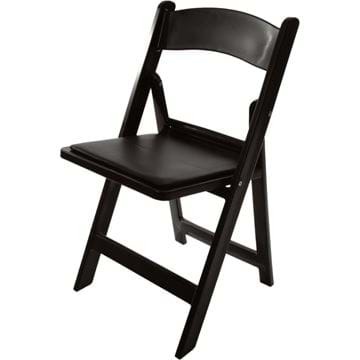 NES Reliable Folding Bar Chairs come with a two year warranty against material and manufacturing defects. 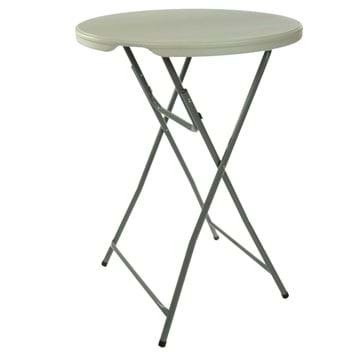 Height of the seat - 29"
Height of the bar chair back - 41.5"
Width of the seat (at its widest point) - 19"
Width of plastic back - 16"
How strong is a Bar Height Folding Bar Chair?